When reached for a comment by Mashable, Facebook delivered the usual party line: “We give people a variety of tools to control their app experiences on Facebook, and hold developers to our Platform polices. Apps must specifically request the data they need to operate, including email addresses and publishing capability. After a user installs an app, apps are not permitted to post to that person’s Timeline without their consent. If an app is found to be in violation of these policies, we will take action against it.” Keep in mind that Facebook doesn’t have the ‘Walled Garden’ approach to applications that Apple does. Rather than investigating and approving applications before allowing them on the platform, Facebook takes a reactionary approach. They only act once enough users report the app or if they find out policies have been violated by other means. This means less privacy and security for Facebook users. It’s clear that the act of giving permission to an app may be far more of an issue than Facebook lets on. So, in other words, it might be wise to think twice next time you give permission to an app. You might be giving away more than you think. 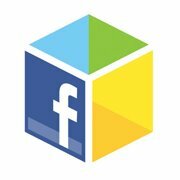 There is a great web app at http://mypermissions.org/ that can quickly show you who is accessing your data on Facebook and other popular platforms.